After a worthwhile four month wait, my much anticipated pieces arrived in time to don them at Parisian Fashion Night, an event co-hosted by Pascaline Paris and Atelier Emmanuel Salon and Day Spa in the spirit of Paris Fashion Week. 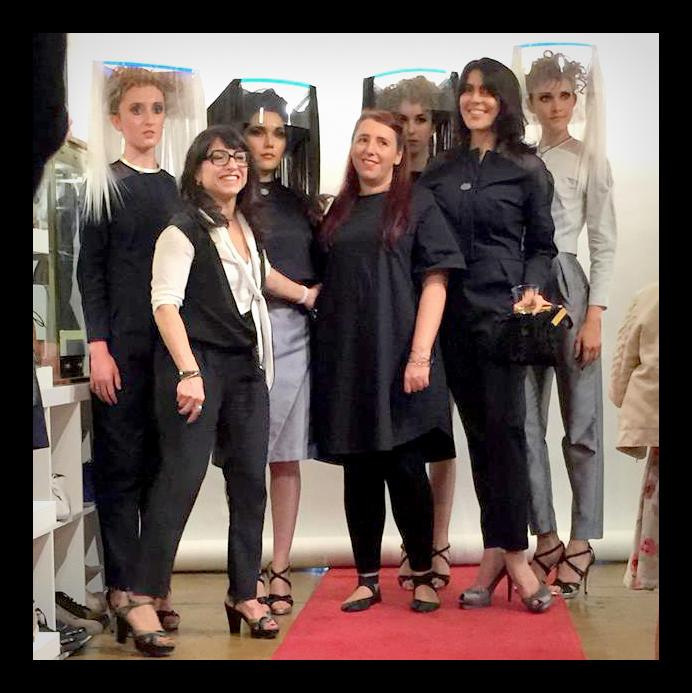 Introducing several young designers, the event highlighted Scarlett Smith's Spring-Summer 2015 collection accented with Designs by Alina jewelry. With a futuristic spin à la Blade Runner, Pascaline defied convention to the praise of an estimated 200 attendees. "I predict you will be seeing a lot more of her in the very near future" was Pascaline Elsair's closing comment that evening. As Amanda's first customer (Scarlett is the designer's middle name) I enthusiastically concur, for her collection, while powerfully modern, is a prime example of minimal elegance with impeccable attention to detail. I am honored that my jewelry was showcased with her designs.